Need flexibility with MediaPress allocated storage space? 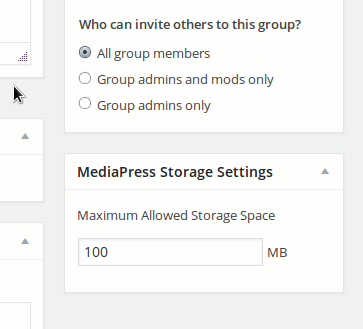 Use MediaPress Flexible storage limit plugin allocate custom storage space for individual users and groups as well as control storage based on WordPress roles. 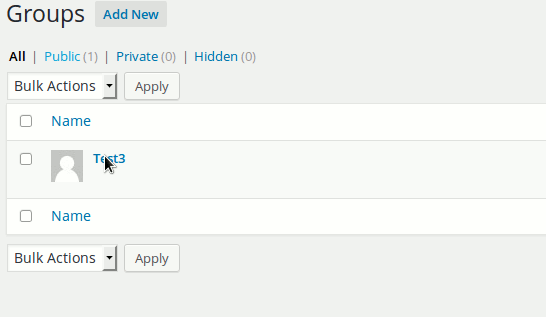 A site admin can set a different storage limit for a BuddyPress User , WordPress Role or individual BuddyPress group. Custom storage limit to individual user. This overrides the role based storage. Custom Storage limit for individual group. Please use the installation and configuration links to see the installation and configuration. Here are a few screenshots showing it in action. Role Based Storage:- This settings is available from Dashboard->MediaPress->Settings->Addons panel.